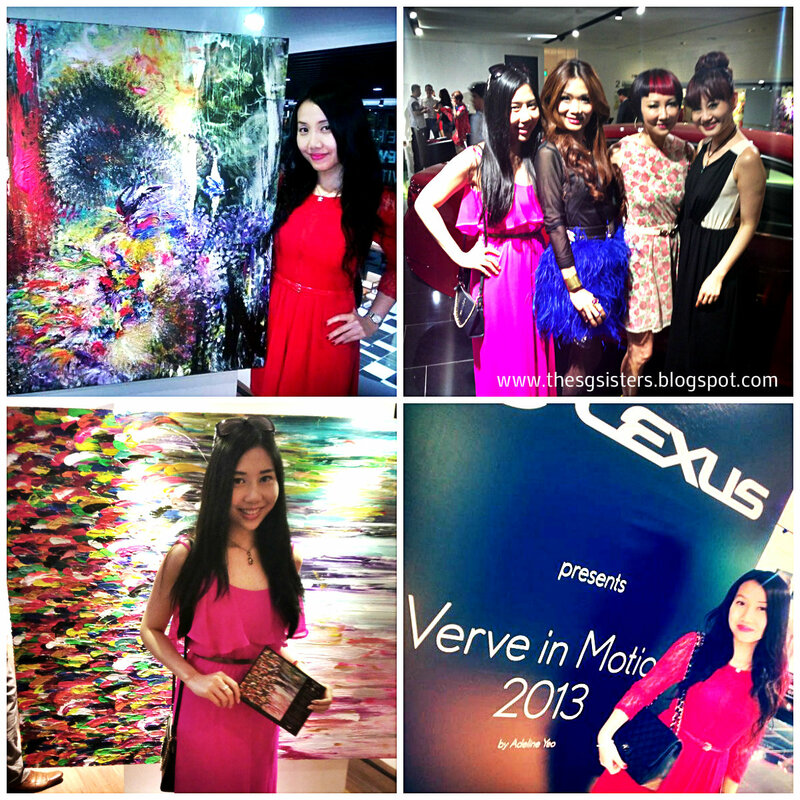 LEXUS Presents - Verve in Motion 2013 by ADELINE YEO was an exciting event which I was looking forward to for months ever since my girlfriend Adeline Yeo informed me via Facebook. Having known Adeline for a few years, I must say she is a remarkably talented artist whose art pieces exuberates love, life and passion. This collaboration with Lexus marks Adeline's 5th and last solo exhibition in Singapore. I have always admired local talent and Adeline is one woman I truely admire and respect as she dared pursue her dream as a female artist. Adeline Yeo is the author of ViVa! Life Illuminated which was launched at Fullerton Heritage Gallery. She is a finger painter who is by far, the only artist who paints blindfolded. Her special abilities to paint without sight and just by using her fingers to feel the canvases was demonstrated live before the audience at the Lexus showroom. I was in awe as the final outcome was beautiful. 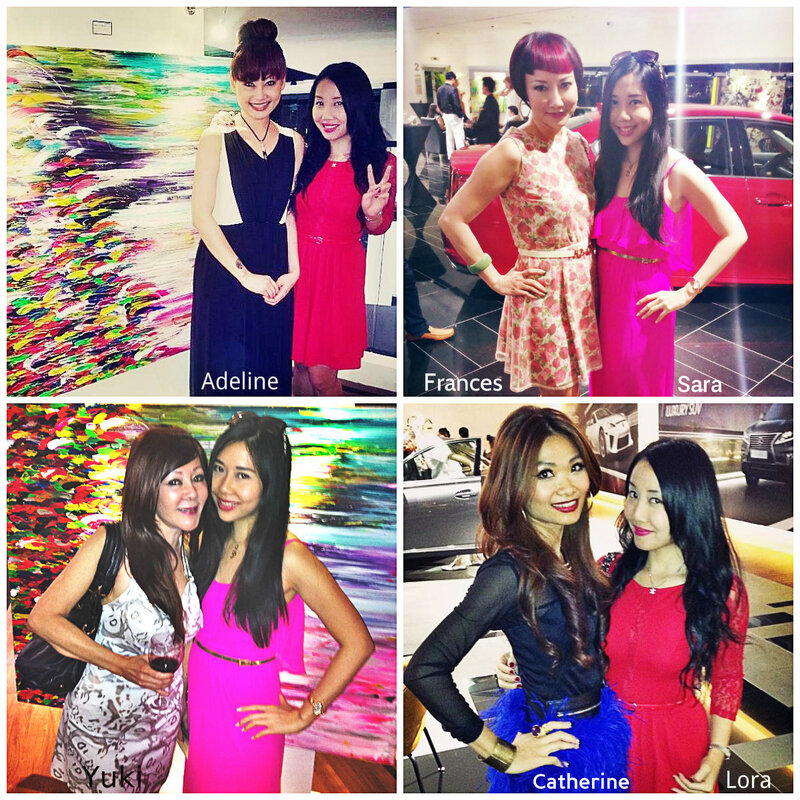 Do check out her website at http://artbyadelineyeo.com/ for Adeline Yeo's magnificient art pieces. 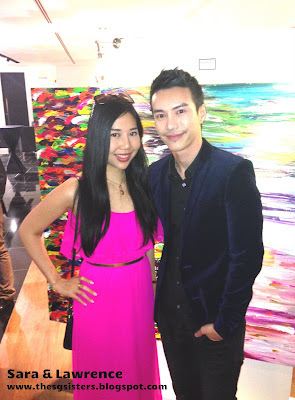 Adeline Yeo was also supported by Catherine Ng who looked really beautiful in her bright blue feather skirt. Catherine Ng is the General Manager of Affluent Media, do check out their website at http://www.affluentmagazine.com/. 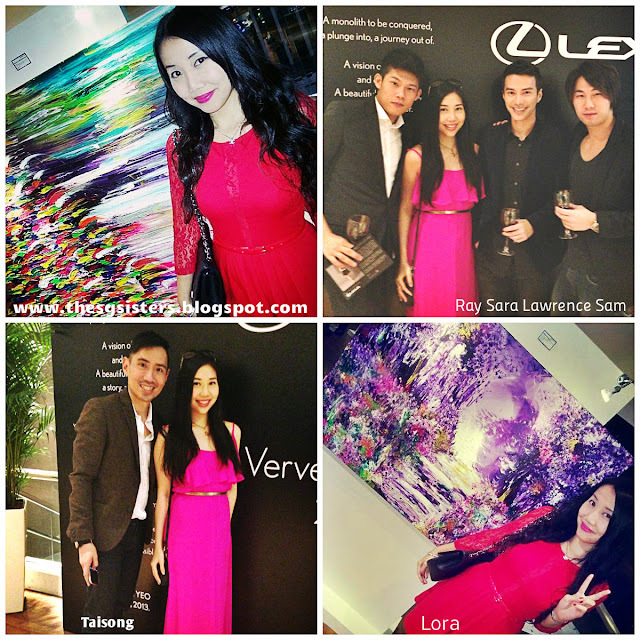 My sister Sara Shantelle Lim was also delighted to meet Actor/Host/Model - Lawrence Wong, who started out his career as a Model. He is now a TV Host and Actor too. 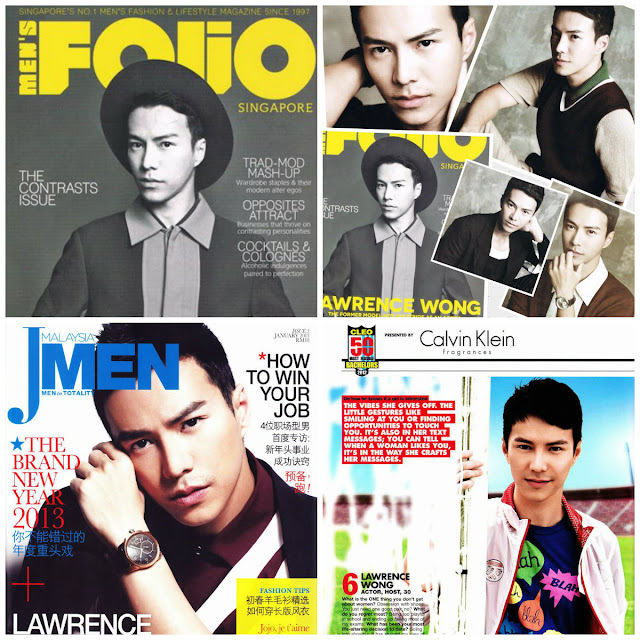 He has been on the front cover of several magazines and he was also one of CLEO's 50 Most Eligible Bachelors in 2012. He is also in MAY issue of Singapore's FOLIO Magazine. Curious about this star? You may follow him via his official fan page. Lawrence is a very fair and good looking man. He has flawless skin. Despite his fame, he was quite shy and pretty down to earth. I'm looking forward to meet him and his buddies, Sam and Ray, at my birthday again soon. My Birthday Bash: My Birthday is on 4 June 2013, Tuesday, 8pm at Marina Bay Sands. (SMS me personally for full birthday details). My night didn't end at the Lexus event. I also went to the Mercedes New E-Class launch and road test.